Check back later for new eBay auction items. 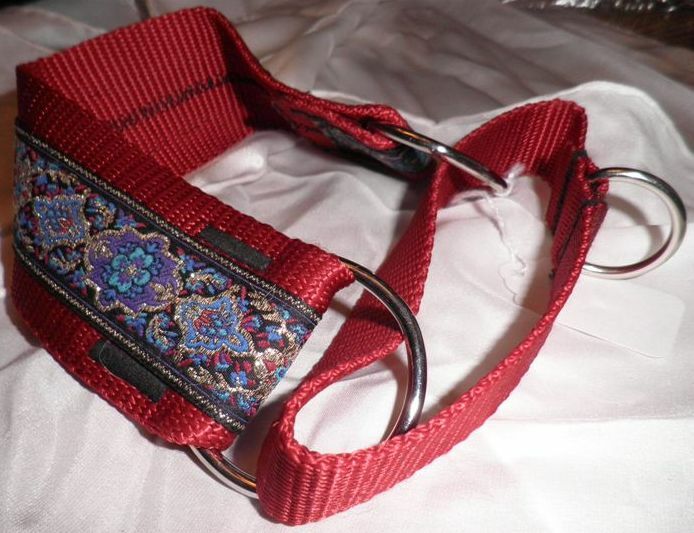 When the auctions are live you will be able to click on the pictures to go directly to the eBay auctions to find more detailed information and bid on the items you are interested in. Thank you for your support! 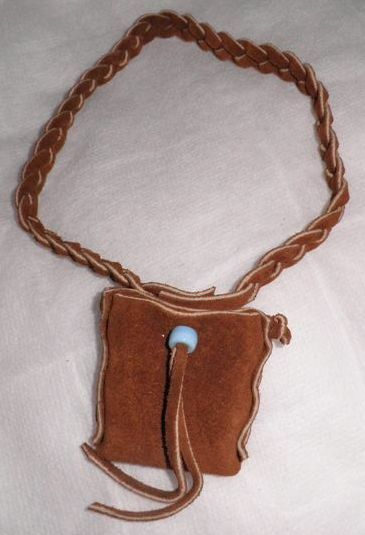 Braided suede tag collar with tag bag. 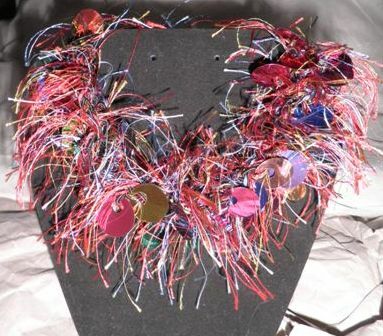 Holiday sparkle - eyelash multicolored spangle. 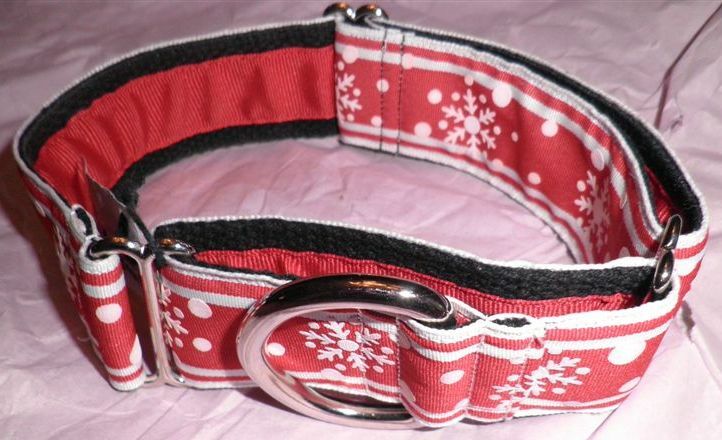 Red star leather buckle dog collar. 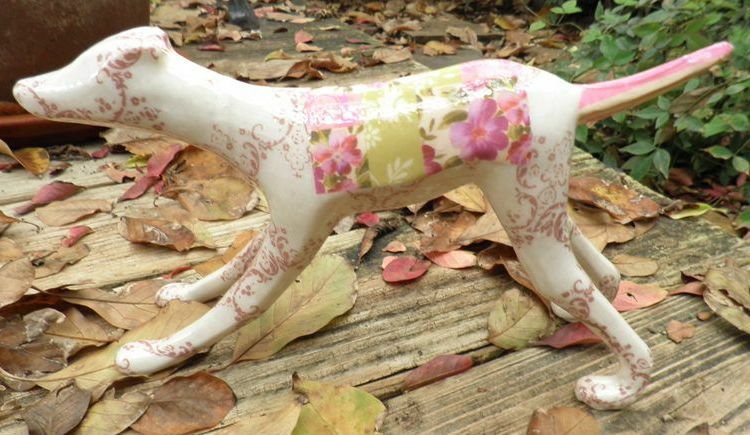 Stylized standing Greyhound - fabric covered and glazed. 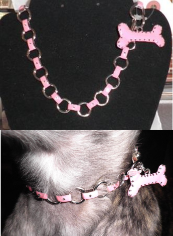 Pink enameled chain dog collar. 1.) 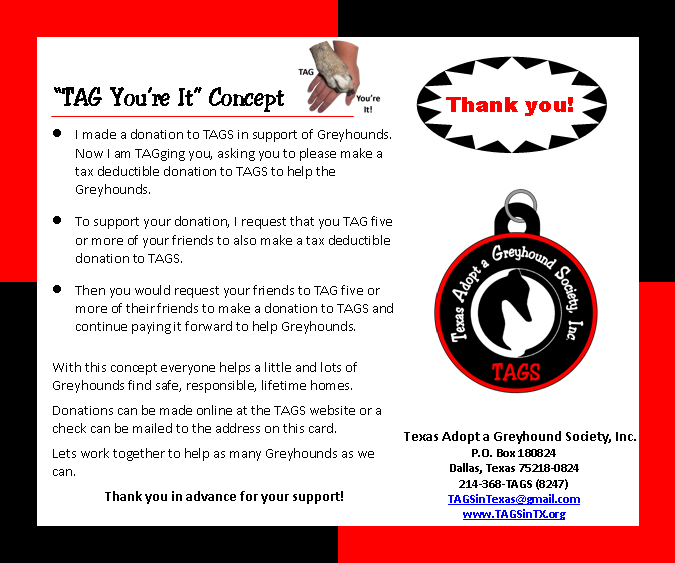 I made a donation to TAGS in support of Greyhounds. Now I am TAGging you, asking you to please make a tax deductible donation to TAGS to help the Greyhounds. 2.) To support your donation, I request that you TAG five or more of your friends to also make a tax deductible donation to TAGS. 3.) Then you would request your friends to TAG five or more of their friends to make a donation to TAGS and continue paying it forward to help Greyhounds. With this concept everyone helps a little and lots of Greyhounds find safe, responsible, lifetime homes. Donations can be made online on this website (above) or a check can be mailed to TAGS (address on the 'Contact Us' page). 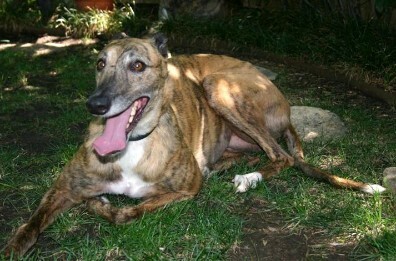 Lets work together to help as many Greyhounds as we can. TAG You're It Concept Card - print and share to help TAGS! !